O’Higgins dealt Universidad de Chile coach Jorge Sampaoli a defeat in his 100th game in charge of the club; a play-off final first-leg. 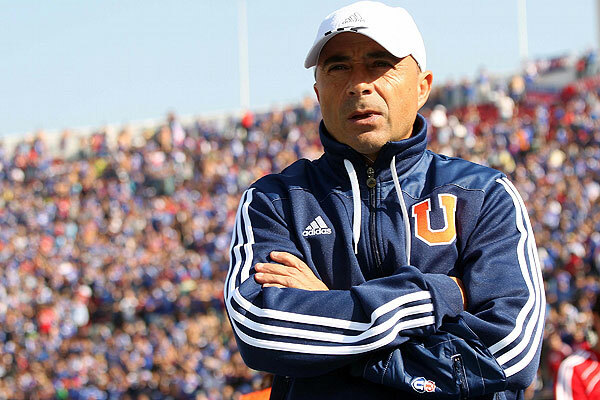 Here Daniel Boyle takes a look at the stats surrounding his first 99 games at the helm of La U . . .
Coach Jorge Sampaoli will reach the mark of one hundred games at the helm of Universidad de Chile when “La U” take on O’Higgins in the first leg of the 2012 Apertura final tomorrow, Thursday June 28. The team that the Argentine assembled at the beginning of 2011 has dominated the Chilean scene, winning both the Apertura and Clausura tournaments in 2011, as well as the club’s first international triumph, the Copa Sudamericana. Sampaoli’s story at “La U” started on January 29, 2011, when they played against La Serena and tied 1-1. Considering that game and the players who performed against Colo Colo on Sunday,there are five familiar names: Johnny Herrera, Matías Rodríguez, José Rojas, Charles Aránguiz and Guillermo Marino. 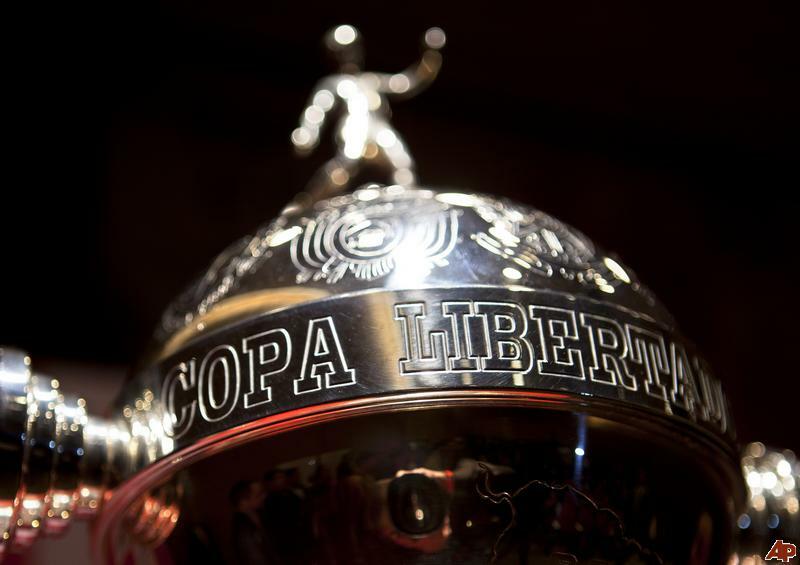 Another hectic period of Chilean football culminates in the next few days after almost six months of non-stop football as 18 teams fought it out in the Apertura, three teams took part in the Copa Libertadores and Chile played six games, winning their last four. But we focus on the Campeonato de Apertura as for the third Campeonato running the teams finishing one and two in the regular 17 games season meet in the play-off final to determine the Apertura winner. It will be of no surprise that Universidad de Chile are contesting the final. But their opposition, O’Higgins – named after Chile’s founding father Bernardo O’Higgins – are making their first final appearance in their 57 year history; their previous best was third-place finishes in 1978 and 1994. 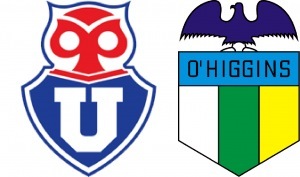 O’Higgins and Universidad de Chile came through two-legged semi-final ties against Unión Española Colo Colo respectively. The first-leg ties saw both finalists lose as I reviewed here. O’Higgins knew going into the return-leg that a victory by one goal would take them through due to their higher placed finish in the regular season. An exciting first-half with both teams creating good opportunities only yielded the one goal as O’Higgins levelled on aggregate through Luis Pedro Figueroa after good work from Boris Sagredo. But La Furia Roja were back in front shortly after half-time with the equalising goal from Sebastián Jaime – the forward having been played through on goal with a long ball from defence. Yet O’Higgins would win by a single goal once again when Rodrigo Rojas netted ten minutes later. Trailing by two goals La U had the tougher task but in the end they made it look easy. Earlier in the season they had crushed Colo Colo 5-0 and almost equalled that with the second-leg victory. The verve that had been missing in their previous matches was back, albeit in stages. Ángelo Henríquez opened the scoring with a fine finish from the edge of the box before the Junior Fernándes that has brought about interest from Bayer Leverkusen re-appeared with a stunning hat-trick; each goal better than the one before. The Rancagua side are looking to become the first team that play south of Santiagio to win a Chilean championship since Huachipato in 1974. Their current situation can be attributed to Eduardo Berizzo, as well as former bosses Jorge Sampaoli and Ivo Basay. The latter pair helped consolidate O’Higgins’ position in the Primera Divisón and Berizzo has carried on the work, surprisingly taking La Celeste to second place in the Apertura standings. Joint-third highest scorers and the third best defence, Berizzo’s has a balanced side with a potent three in Enzo Gutiérrez – 11 goals in 18 games –, Boris Sagredo and Luis Pedro Figueroa supplied by playmaker Ramon Fernandez. And in Paraguayan midfielder Rodrigo Rojas they have one of the most under-rated players in the division. 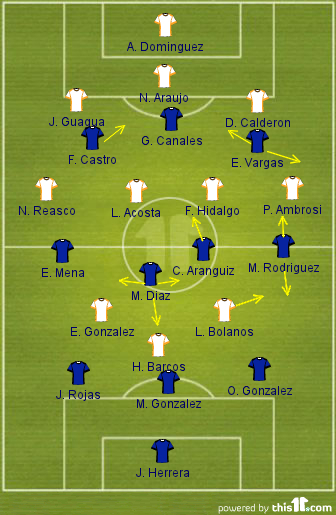 Normally playing a 4-2-1-3 O’Higgins are flexible, players capable at playing a variety of positions. Their best performance was a 3-0 demolition of Universidad de Chile in the opening weeks of the season and they carried that form throughout even if their results were not always as comfortable – 14 of their 21 games have been decided one way or the other by a single goal. The man behind the fine work happening in Rancagua is Eduardo Berizzo. Berizzo is no stranger to the Chilean game having served as assistant manager under Marcelo Bielsa’s successful spell in charge of La Roja. The 42-year-old coach had a successful paying career winning trophies in Argentina with Newell’s Old Boys – where he was managed by Bielsa – and River Plate as well as spells in Europe with Marseille and Celta Vigo. Berizzo’s team may not play as renowned and aesthetically pleasing football as Bielsa’s teams and Sampaoli’s La U, preferring longer and more direct passes into the front players, but in such a short space of time since taking over he has been effective and instantly got his ideas across to his players winning eight out of the first 11 games. It would be easy to choose one of O’Higgins’ front four. Gutiérrez has scored goals, Sagredo has brought excitement, Figueroa’s performances have merited a call-up to the national side and Fernández has been at the heart of most attacking moves while chipping in with seven goals. But for me Rodrigo Rojas is key in quickly moving the ball into the front four while supporting the attack and adding another dimension to La Celeste’s offence. Not only does he provide energy to the central midfield duo but he has provided crucial goals, none more so than the winner against Unión Española to book O’Higgins’ place in the final. Still only 24 there is every chance he could add to is two caps already garnered for Paraguay. 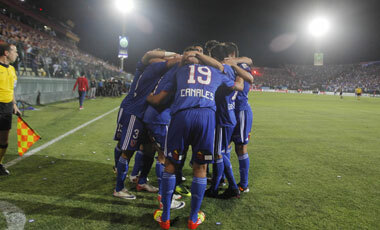 Universidad de Chile really does not need any introduction as they go in search of their 16th Primera Divsión title. They won both Campeonato’s in 2011 as well as their first continental title with the Copa Sudamericana win. Much was expected of them again this year having retained the services of Jorge Sampaoli and at one point it looked like the unthinkable could happen by following up with another Primera División success AND a Copa Libertadores title. Especially as they blew Deportivo Quito away with an exhilarating 6-0 win at the Estadio Nacional in the last-16 of the tournament; a performance that may just be the 2012 edition’s finest. However La U’s exertions in the last year and a half slowly caught up with them. Since Sampaoli took over in early 2011 the team have played 99 games – tonight’s first-leg being his 100th in charge. The loss of Marcos González, Eduardo Vargas and Gustavo Canales became more prevalent as new signings such as Pedro Morales failed to bridge the gap. 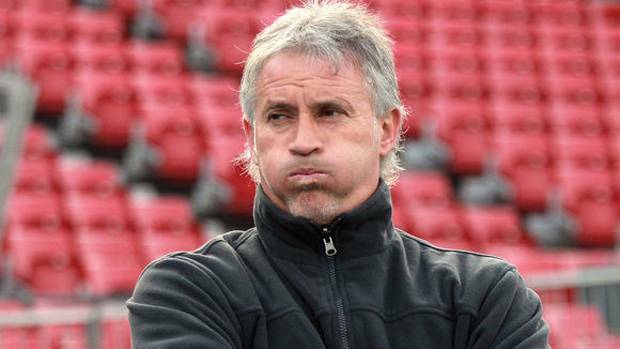 They struggled past Libertad in the quarter-finals and were deservedly beaten by Boca over two legs which sandwiched a 2-0 semi-final first-leg loss in the play-offs to Colo Colo. But like all great teams they bounced back and now find themselves in yet another final as Marcelo Díaz and potentially a few of his team mates as well as Sampaoli look to go out on a high. 2012 has also seen the emergence of wunderkind Ángelo Henríquez. At 17-years-old he burst onto the scene with a spanking goal against Godoy Cruz in the Copa Libertadores and he just didn’t stop; scoring 10 in the Apertura and 4 in the Copa Libertadores. He has shown exactly why Manchester United have agreed a first option that lasts until December 2013. It has taken a meandering career through South America for Jorge Sampaoli to appear at the top of the continents game and into the eyes of football fans around the world. Spells in Peru and Ecuador brought about differing success and there was even a time in charge at La U’s opponents O’Higgins. In Santiago Sampaoli transformed La U giving the team an identity despite some intial reservations from fans. Any reader of ‘The Red One’ or any that have watched Los Azules will have been excited, thrilled and even left speechless. The first-leg will see his 100th in charge of La U and in that time he has amassed an almost 75% win record. His success has led to speculation linking him with a move away from the Estadio Nacional. These two games could prove his last in charge. It is difficult to pinpoint a single player after talking about La U so much since starting this blog due to their continued brilliance. But one player who perhaps hasn’t had the recognition and praise he deserves is left-wing back Eugenio Mena. Like most Chilean players he is versatile and can play as a wide midfielder, a wing-back, full-back and has even covered in as the left-sided centre back of La U’s three. The reason perhaps he has not had much press is because of the man on the opposite side, Matías Rodríguez: The Flying Machine. However Rodríguez it seems has believed his hype too much and has been playing further forward leaving the right flank vulnerable to attacks. But on the left-side Mena is Mr Reliable. He plays his position with discipline and distinction while having a great understanding and partnership with defender José Rojas. He has the stamina of a long-distance runner but can shift over 10, 20, 30 yards when needed providing excellent width higher up the park and a different method of attack. Surely the abundance of scouts that have watched La U will not have missed Mena’s consistently good performances. It’s good that the teams finishing one and two in the regular season take part in the Apertura play-off final. However for me there is only one winner – Universidad de Chile. The way La U came back against Colo Colo in the second-leg after going through arguably the toughest spell under Jorge Sampaoli was tremendous. And with it likely to be a number of players’ last game(s) for the club – and possibly Sampaoli – they will want to finish the best way possible. You could see how much it meant to the players, staff and fans once the full-time whistle was blown after the 4-0 win. It will be the club’s 100 and 101 games since the beginning of 2011 and it has been showing. But against los albos Rodriguez was back to his driving best, the good Junior Fernándes turned up, Henriquez scored again. 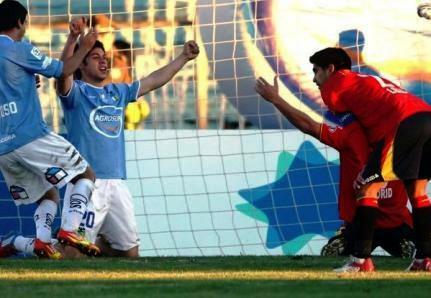 O’Higgins will be tough opponents – 14 of their 21 games in 2012 have been decided by a goal. 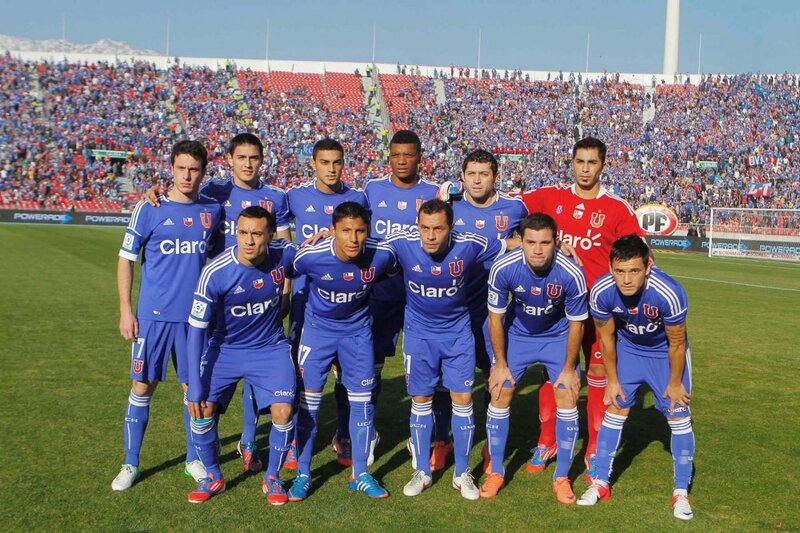 They have already defeated Universidad de Chile 3-0 this year. Yet I thought they were slightly lucky to get past Union Espanola (who would have finished higher if it wasn’t for the Copa Libertadores) over the two legs but they have fantastic attitude under Eduardo Berizzo and if they can get the ball to their front four quick enough especially if it means Ramon Fernandez has space then they will cause La U a lot of problems. Boris Sagredo is pacey and tricky and could exploit La U’s troublesome right flank. Yet I think the quality and winning mentality that this La U team have will shine through in both legs. The closing stages of the Primera División are well and truly underway as four teams were eliminated over the weekend, setting up a Clásico Universitario semi-final and potential ‘El Clásico’ final, while Cobreloa – the only non-Santiago team in the last four – will be happy to just be there after an almighty scare at home to Unión La Calera, leaving it late to confirm their place. Universidad de Chile won. Again. Colo Colo took care of an elementary second-leg and Audax Italiano floundered when it mattered.